Among the many modeling methods, lipofilling of buttocks and thighs is considered as one of the safest and most cost attractive methods. The technique arose in the early 21st century and received support of beauticians and patients in the meantime. Liposculpture is based on transplantation of adipose tissue of a patient from one body part to another one for tightening or giving more volume. Necessity of complex additions after liposuction of thighs and buttocks. Tightening and rejuvenation of the skin in the area of transplantation. The effect is achieved by giving filling of wrinkles and additional moisturization. Lipofilling of buttocks does not require much effort on behalf of the patient. It is necessary to pass an inexpensive full medical examination for early detection of contraindications during the preparation stage. Then the surgeon who will perform the plasty will evaluate the test results and will discuss all the details of a future procedure with you. 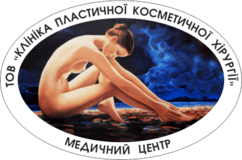 Upon detection of contraindications, the specialist will offer a solution of the allowed ways to increase the buttocks and improve thighs contour. In case there are no contraindications, he/she will examine you and will identify the most problematic areas for taking of own fat. The next phase involves preparing of the layout of the correction area and places where the fatty material shall be taken from. In addition, the doctor will create a model of the figure expected after the lipofilling by means of the computer program. Then you will be able to express your wishes. It should be noted that the computer simulation does not give a complete picture of the results of the procedure and the effect may be slightly different from the expected one. Fat is taken by liposuction from areas with a high content of fat (the stomach, sides, inner and outer thighs). The cannulas are introduced subcutaneously into the defined area and then the excess fatty material is being taken. The obtained fat is cleared from blood particles and ichor via centrifugation. Then the prepared material is introduced into the area being corrected. Since both stages are rather painful, the general or epidural anesthesia is prescribed for the patient. In the opinion of women, fat transplantation shows a significant long-term effect. Lipofilling procedure takes about 4 hours. The difference in appearance before and after the plasty becomes noticeable immediately after the procedure, but the figure gets the final form in several months. The patients experience discomfort in the modified area during the first 48 hours after liposculpture. In case of the high volume of changes, we recommend to stay in the hospital under medical supervision for two days. In case of little intervention, you can go home after a couple of hours after the procedure. Tissue swelling goes away in a week. During this period, you need to take prescribed antibiotics and apply compresses. It is recommended to refuse visiting washhouses, saunas or hot baths for a month. It is recommended to give up active exercises for the entire period of rehabilitation. In addition, ordinary underwear should be replaced by compression one. Increase in volume of the buttocks; Creating of a pronounced relief; Lifting of problem area contour. You may find the cost of the correction by means of fat transplantation on the website of "Clinic of Plastic and Cosmetic Surgery" or by phone. Lipofilling price depends on the size and complexity of the work performed. Nevertheless, according to the reviews of the satisfied women, a clear consistent result is worth the small financial investments.